Construction sites are full of danger. Everywhere you turn, there are potential risks. 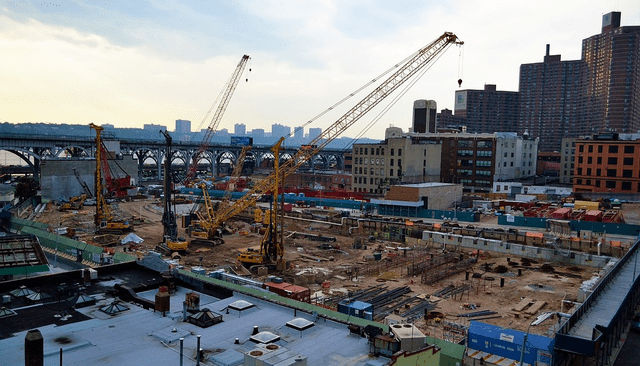 From power tools and heavy equipment to electrical wires, scaffolding, and even something as simple as a hole in the ground, dangers lurk around every corner. Injuries are extremely common, both for workers and for people who are walking through or passing by construction sites. Because the likelihood of injuries occurring is so high, it is extremely important for construction businesses to carry adequate business insurance. A good insurance plan should not only cover accidents and injuries but should also provide protection for the tools and equipment that a construction business relies on. Oftentimes, these tools are quite expensive. Making sure that they are covered is a great way for business owners to protect themselves from unexpected losses. Below are some helpful tips for buying construction business insurance in Miami, Florida. If you own a construction company in the area, these tips should help you find a policy that is a good fit for your needs. Before you even begin shopping for insurance policies, you should sit down and assess your needs. Make a list of all of the different types of coverage that you require. This list can be extensive since there are a lot of different factors that need to be taken into account. For instance, the policy that you purchase needs to not only provide liability coverage in case someone is injured on the job but it also needs to provide coverage for your tools and any other equipment that you keep on the job site. Identifying all of the types of coverage that you need will make it easier for you to find a policy that provides the level of protection that you require. Next, you should start shopping around for an insurance provider. This is one area where it really pays to do research. You need to choose a top-quality provider that has an excellent reputation in the industry. After all, your insurance plan is only as good as the company that you buy it from. If you buy a cheap plan from a shady company, you may have trouble getting reimbursed if you ever have to file a claim in the future. It is far better to purchase a high-quality plan from a well-respected insurer. That way, you can be sure that you are covered when you need it. Although paying monthly insurance fees isn't a lot of fun, it is definitely preferable to finding yourself without adequate coverage if something goes wrong. Without insurance, a simple accident could wind up bankrupting your company. That is why it is so important to make sure that you are protected and that you work with a reliable insurer who will come through for you when you need them. Avoid the temptation to go with the cheapest plan that you can find. Saving money is always a top priority for any type of business, including construction companies. Opting for a cheap insurance plan, however, may not be the best way to save. You need to find a good balance between the cost of the plan and the amount of coverage that it provides. In most cases, it is beneficial to look for a slightly more expensive plan that offers additional coverage rather than buying the cheapest plan that you can find. If you ever need to file a claim, having a good plan in place can make a world of difference in your overall expenses. You also may want to look for an insurance company that specializes in working with construction businesses. The construction industry has unique needs when it comes to insurance. Insurance companies that focus primarily on this industry usually have plans that are a better fit for your specific needs than companies that take a more general approach to insurance. Typically, the agents are also more knowledgeable about the types of issues that construction companies face. That means that they can do a better job of helping you find an insurance plan that provides the coverage that you need. Finally, make sure that you choose the right deductible. Although choosing a higher deductible can help keep the cost of your insurance down, you may wind up regretting it if you ever need to file a claim. You should have enough money in savings to easily cover your deductible. That way, you can file a claim right away if anything goes wrong. You may find it beneficial to pay slightly more for your policy in exchange for a lower deductible. By doing so, you will have to pay less money up front before your insurance plan starts to pay. By taking these considerations into account when buying construction business insurance in Miami, Florida, you can be sure that you get a policy that provides all of the protection that you need. Also read next about the insurance for business rental car in Miami.